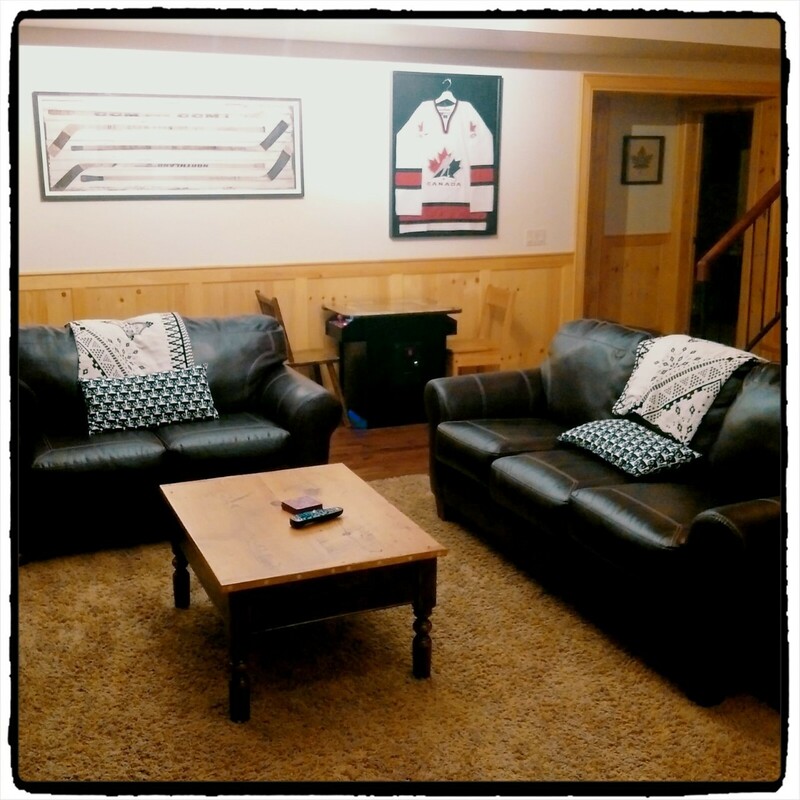 Two family rooms with televisions, games, books and movies for everyone to enjoy! The walk out basement leads to a professionally landscaped lot and is mere steps to the over-sized waterfront dock. A fire pit and beach volley ball court also complements the outdoor space. Winters are truly magical at Hammond Haven! Watch the snow gently fall outside while curling up by the fireplace, or go for a walk on the nearby trails and enjoy all the beauty nature has to offer! Dogs are welcome at Hammond Haven! This is our second time back to Hammond Haven and we absolutely love it!! This cottage has everything you need and more! Had a great time sledding down the hill and building an outdoor fire! Thank you for another fantastic stay! We will be back again! We were stunned when we walked in. Immediately felt at home. We can see how you love it here and should be extremely proud of what you've created in your parent's name. A definite dream cottage. Absolutely wonderful. Wine awesome. So peaceful and lovely. Thank you for a truly wonderful stay at Hammond Haven! Our family really enjoyed the stay. We found the place to be very cozy and comfortable. 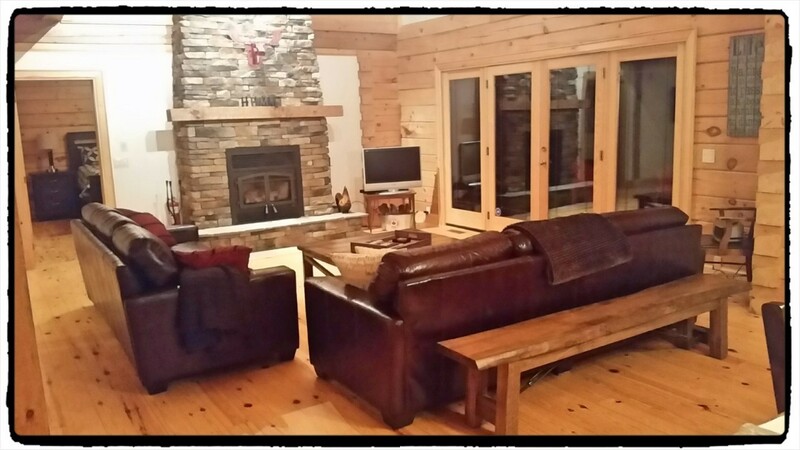 We loved the living room area and spending time gathered around the fireplace. The beds were very comfortable and we got some great sleep every night. We also spent lots of time outdoors playing in the snow. We got to enjoy some wonderful times as a family and the setting was just perfect. P.S. Thanks for the wine! Thank you for offering up such a wonderful place to get away for a winter vacation. Our whole family loved our time here, where there was no lack of anything but more time. 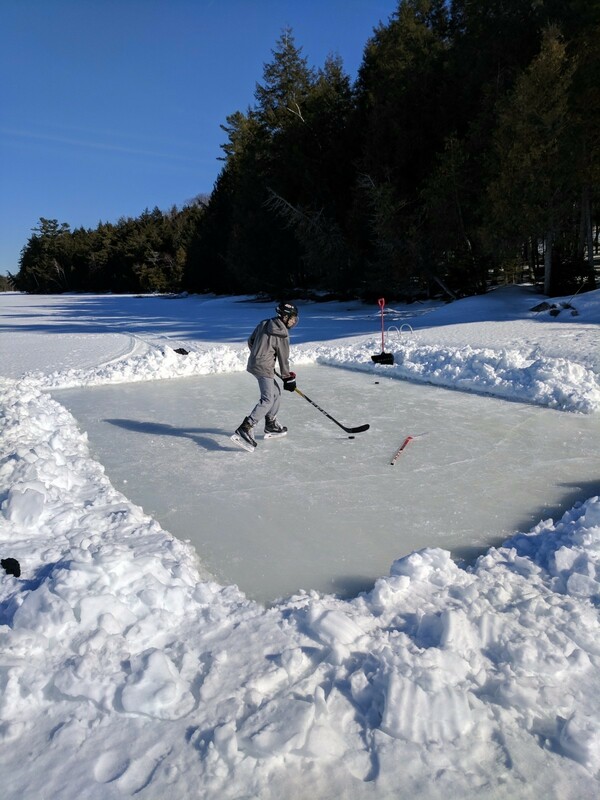 We really enjoyed the privilege of nearly perfect ice on the lake - we must have skated for miles! In addition to ultimate frisbee on skates, bonfires by the lake, big meals at a perfectly large table, we spent a lot of time laughing and enjoying each other's company by the fireplace. Thank you for a wonderful stay, and Happy New Year! Thank you so much for allowing us to share your slice of paradise - what a simply amazing magical place! Family traveled from New Zealand, England and Canada to be together for Xmas - and for some of us, it was our very first white Xmas. Your winter wonderland took our breath away; the beauty, the stillness, the remoteness - there are not enough words. Thank you SO much for allowing us to experience this stunning place. We would so love to return in summer. Our family weekend getaway @ Hammond Haven was great. The place was very clean & great space for a family cottage weekend. Thank you for letting us stay! We will be back next year for sure! Thank you so much for sharing this beautiful place with us! We had a great time with our big family and friends. Everyone enjoyed lots, fishing every day and spotting wild animals. This place was amazing. Every detail of this place we loved. This place really was perfect from every angle. We even made some amazing memories like when we went kayaking to the island. Wonderful getaway for our large family. Beautiful location, excellent cottage, above and beyond our expectations. The pictures don't even begin to do this place justice. 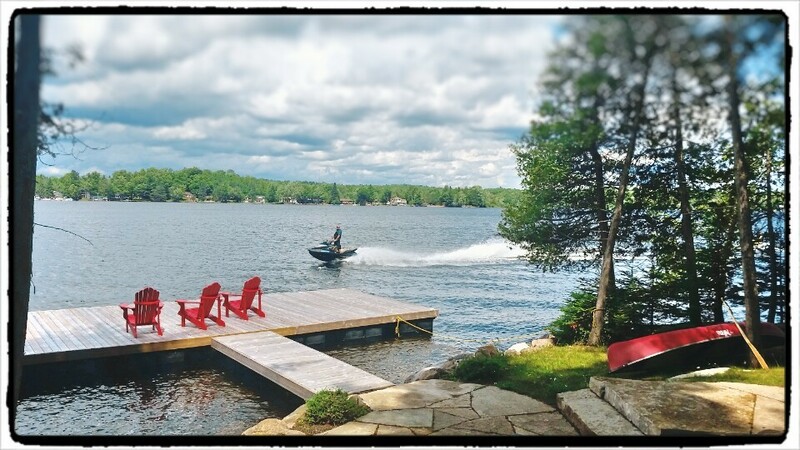 Hammond Haven and its amenities made our cottage week relaxing, fun-filled and a time for plenty of life long memories! Highlights included volleyball, campfires and plenty of water sports. We had little luck fishing despite valiant efforts. Our group is already looking forward to next year. Thank you Pender family for creating Hammond Haven and generously providing everything needed for a perfect week in the Canadian North! We had a great time at HH this week. While no one caught a fish, we had loads of fun trying. Our family (all 9 of us) and our dog, Beo, enjoyed the almost nightly fires in the firepit, roasting marshmallows and telling stories. The swimming was great and we happily used the canoe, kayaks and paddle board (and the star gazing was awesome!). Thank you for having us at your beautiful cottage. Karen & Stan Swain, Clayton, Steph, Jeff, Tiana, Daon, Jody and "Beo"
Thank you so much for allowing us to stay at Hammond Haven!! We had a wonderful time fishing and relaxing on the dock. We were so lucky to have amazing weather - wow was it HOT!! We loved the added luxury of A/C for the hot humid nights. Our children loved playing video games, hanging on the deck or swinging in the hammock. We can't wait to book another stay next year!! Thack you for having us. We hade so much fun. I ingoyd evrything and a sqeril att my bagel for lunch. My wife and I just completed a fabulous week with our children, spouses and 2 grandchildren. The time spent was priceless! To have the setting for this "visit" at Hammond Haven was the "cherry on top". Not only did Hammond Haven accommodate us all, but did it so in a first-class luxurious way! There was plenty of room, the grounds were spectacular and the kayaks and water were used extensively. Everything was here to have an outstanding time! We can't thank you enough and we look forward to next year! thoroughly enjoyed themselves and lovely memories were made with grandparents, aunts and uncles (and cousins!). The McCormick/Spriel/Doran family review is in - Hammond Haven gets two thumbs up!!!! We had a great time swimming, fishing, waterskiing/tubing/wakeboarding (hint to future renters - the marina rates for boat rentals are super reasonable!) From our 11 year old pointer...to our 4 year old son/nephew/grandson - there was something special for everyone! WOW!! Hammond Haven was a FABULOUS vacation getaway for the VanBoxtel getaway. The cottage is stunning and beautifully decorated. The lake view is incredible. We spent all our days relaxing in the chairs on the dock (we love how big the dock is - it fit our entire family). The floating board was extra special. 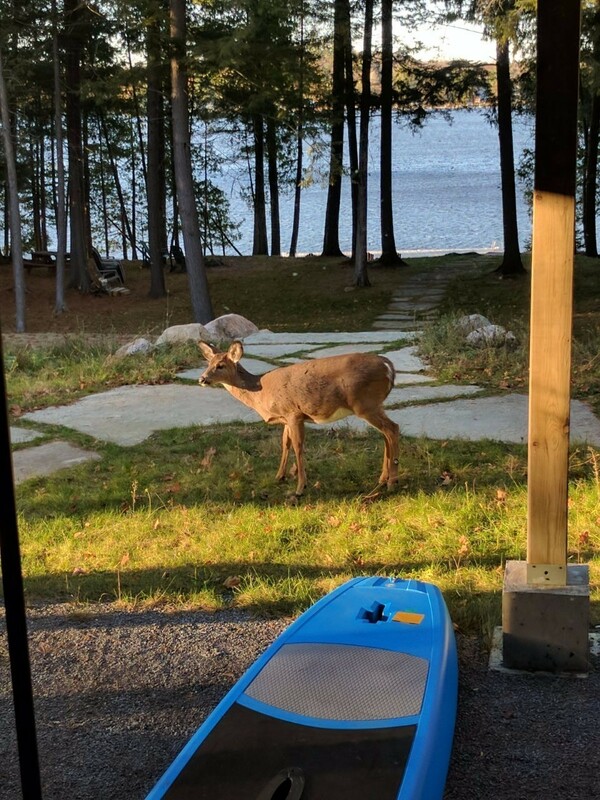 We loved our early morning and late evening visits from Bambi and her friends. It truly was a spectacular vacation - we RELAXED and enjoyed our time here!! 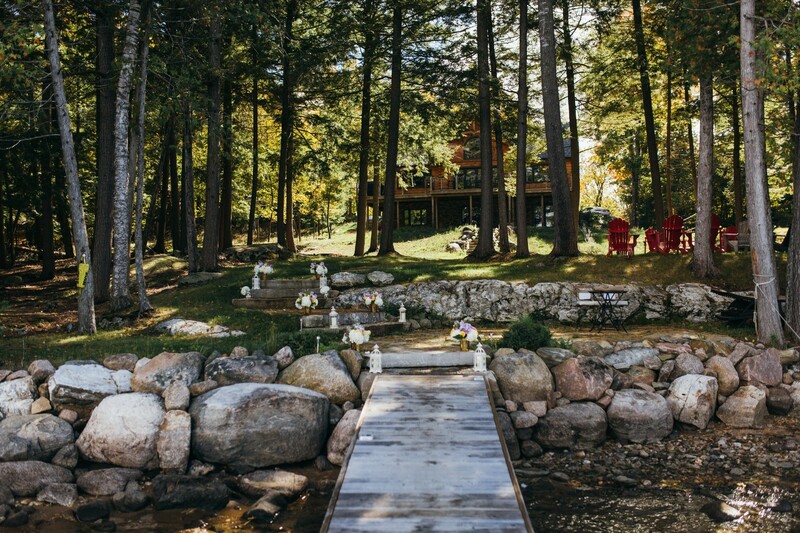 We loved staying at your beautiful cottage on the lake. To have our entire family all together under one roof was so nice. It was such a treat to have ample room for everyone. We loved how well stocked the kitchen was. We had everything we needed. The house decor was absolutely beautiful. I loved all the attention to detail. It really made our stay comfortable and enjoyable. Thank you very much for the wonderful week. We had an amazing time at your beautiful location. I absolutely loved the open floor plan. I spent most of my time in your beautiful kitchen. I am a professional working chef and I really appreciate how well stocked the kitchen is with the tools, display ware and amenities provided. We had a large group and it was easy to work together in the kitchen. When I spent time away from the kitchen, I was at the lake enjoying the scenery! Thank you so much for sharing your beautiful cottage. 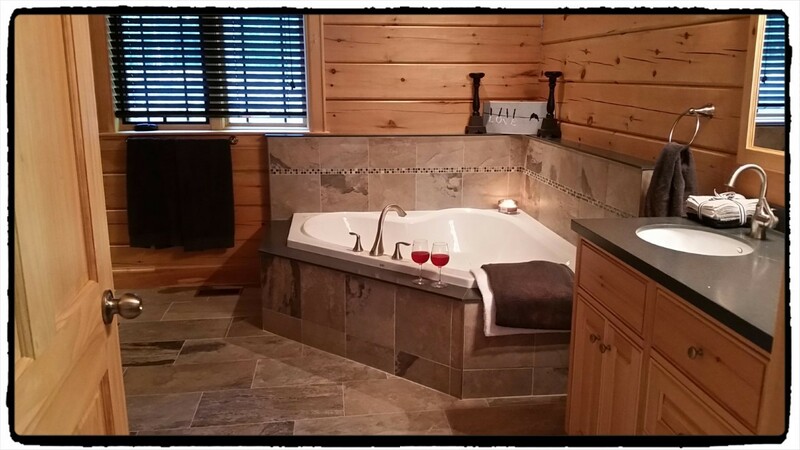 We have stayed at various Serenity Vacation rentals over the years and this is definitely the best one yet. We had all of the children and 6 of the 8 grandchildren with us and there was so much room for everyone! The dock at the lake was enjoyed so much by the kids - we had diving contests and swimming contests & fun was had by all. It is so difficult to find a place that has such beautiful accommodations and outdoor activities. Amazing place!! We have already booked for next year. We have had a wonderful family vacation with grandparents and grand kids. The kids spent hours on end jumping off the dock and paddling in the various boats. Your shed had all the equipment in great condition and had everything we needed. When they got tired there was endless entertainment with the Wii, arcade, hockey, movies and games. All these things allowed parents and grandparents time to relax and enjoy the beautiful view from the deck. The kitchen was amazingly stocked and we were able to create great family meals. Our puppy came face to face with a deer and they were both equally surprised before they each went their separate ways. It was very cute! Thanks for allowing us to enjoy your beautiful cottage, we all had an amazing time!! Simply beautiful, serene and peaceful luxurious lake house with every amenity that made our family vacation full of fabulous memories. Thank you Serenity Vacations. We will all love to come back! Very comfortable beds!!! Great swimming, fishing, enjoyed beautiful weather (1 day record-breaking heat - another nice & cool) and daily gourmet meals. Campfires, s'mores. Hard to leave this wonderful place. This trip was our first to Canada! We have enjoyed every moment of this week! Thank you so much to Serenity Vacation Rentals for being so helpful and cooperative in our process in planning our vacation. We have had an amazing family vacation and so look forward to coming back next year! The Sabila family would like to say a big thank you for having us back a second year. This beautiful cottage is so much fun! Our family was able to enjoy the paddle boards, kayaks, and this year the new swim out dock! Again, thank you for allowing our family to make life long memories here at Hammond Haven. Thanks again for hosting our annual "guys" weekend. This is our second year here and it was as amazing as we remembered. We look forward to returning again next year. Beautiful spot. Cottage well appointed. We had a great weekend with the family. A BIG thank you to Serenity Vacation Rentals! Our family of 9 had an amazing time at Hammond Haven! Many memories were made and despite the terrible weather we were comforted by our surroundings. The cottage is so well equipped that we didn't want for anything. The pictures online do not do this place justice. The feeling at this cottage makes the place feel like home away from home! Wow! What a beautiful spot and amazing cottage. Everything about this place has exceeded our expectations. Big thanks from Grammy! Lovely spot to spend time with my kids & grandkids. Pokemon and Skylanders, hockey, arcade, bunk beds, building a snow fort snowman, sliding down the hills, Yahtzee. Thanks again for opening up your cottage to us! We had a fantastic time. The Quinlan family from Belle River, Woodstock and Ottawa, celebrated my 60th birthday here this weekend and had a fabulous time! The property is truly serene, yet an awesome party location; we hope to make it back - if there's ever an opening (lol). We had a magical winter escape. 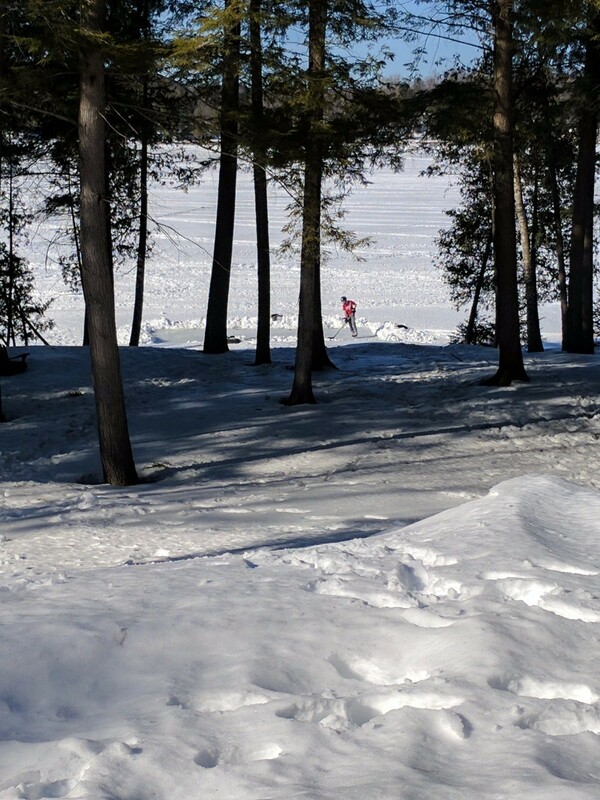 No winter weekend is complete without being snowed in, making up new games and exploring a frozen lake. Mount Allison 2018 reunion was a success! We hope to be back again! Until then, we will enjoy the trip back to Toronto and remember fondly our sweet vacation. Received (this stay) as a gift for Christmas from our children. We all got together (12) for a great get together weekend (3 days). This was a great spot, everything top of the line. So clean and comfortable. Nothing but fun! Hope to come back soon. After finally arriving at the cottage (after 18 hours of flying from Australia) we all concurred it was well worth the effort! This place is amazingly beautiful and the cottage has everything and more than we ever expected. Special touches like tissues and New Year's decorations, etc. etc. made it especially enjoyable. Reconnecting with Galaga and other games after 20 years was a bonus! Thank you for sharing your home with us - we hope to come back in summer one day to experience all the lake has to offer. Many thanks for giving us all the great experience of this cottage Christmas adventure!! We have been doing the cottage Christmas for a number of years and this was a new location for us. So many wonderful perks to this paradise. Hammond Haven was the perfect location for a group of 12 women to come together for the annual Christmas Cookie Baking weekend! Ample space to bake, dine, rest & relax, enjoying everyone's company! This is a beautiful property, exceptionally well maintained and we loved every minute of our time here! Best regards and continued rental success! What a beautiful place to escape from big city noise and to relax with friends and family on a crisp fall weekend. 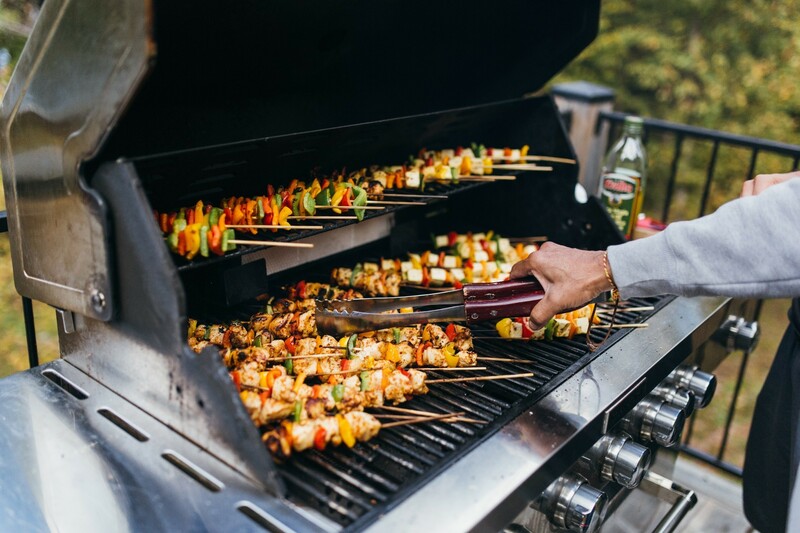 Bocce ball tournaments, good laughs, good dancing and a few delicious feasts, we couldn't really have asked for more. The fireplace/fire pit with ample wood...Space Invaders (video game) and Burger Party?! Hammond Haven lives up to its reputation for making memories. When signing up for a work-retreat weekend, we didn't know what to expect given previous years' experiences of outhouses and the like. Well...the first hour was spent saying our "wows!" and "did you see the...!" and sometimes not saying anything at all - just relishing the spectacular views and beauty of the cottage. Special thanks to Mr. Fry for organizing and making the arrangements, and to Mr. John I., "Zeus" - our Greek gourmet chef who prepared an endless feast including rotisserie pork shoulder, pork belly souvlaki, octopus, peanea and the lamb that never was...truly awesome potatoes and, and, and... Of course, special thanks to our hosts for offering this beautiful place and to Serenity Vacations for making it such an easy experience. We also met the neighbours in the midst of their construction (Rich & son), and invited them over to enjoy part of our feast - we think Brandy and Olivia enjoyed most of it! Hammond Haven - we hope to see you again soon! What a great way to spend Thanksgiving weekend! The cottage was spacious and extremely comfortable. We loved how modern and cozy the place felt. We made great use of the large dock. The beach volleyball court was a very nice touch. We even found a place to put up a badminton court on the grass. We definitely made some great memories with our family. We also very much enjoyed the classic Nintendo arcade games, competing with one another for high scores. NBA @K was popular among the boys on the Xbox. 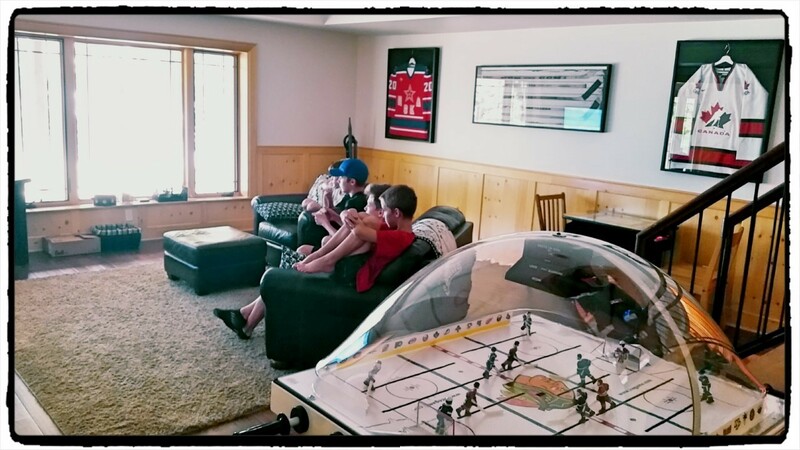 Bubble Hockey got competitive and brought back many great childhood memories. Beautiful property and views. Thanks again! We have thoroughly enjoyed our time here - Hammond's Haven is truly a piece of heaven on earth! 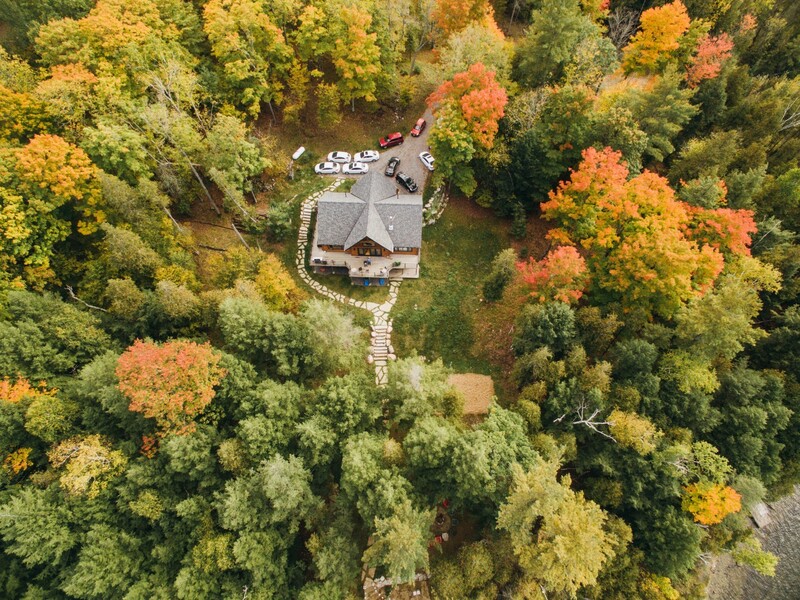 Our extended family booked this cottage getaway as an opportunity for 3 generations to spend time together, bond over nature and learn new things. We've been able to do all that and more! We cannot say enough good things about this place...you've provided everything we could possibly need to have an amazing time. Thank you for the perfect late summer getaway! The Marshall & Geiger families! Thank you very much for a great cottage for the week. We were here to celebrate a 70th birthday all together and the experience couldn't have been better! The amenities were great and we made great use of all the water toys, as well as the fire pit and BBQ. We would happily return for another week in the future! What a great place you have here at Hammond Haven! 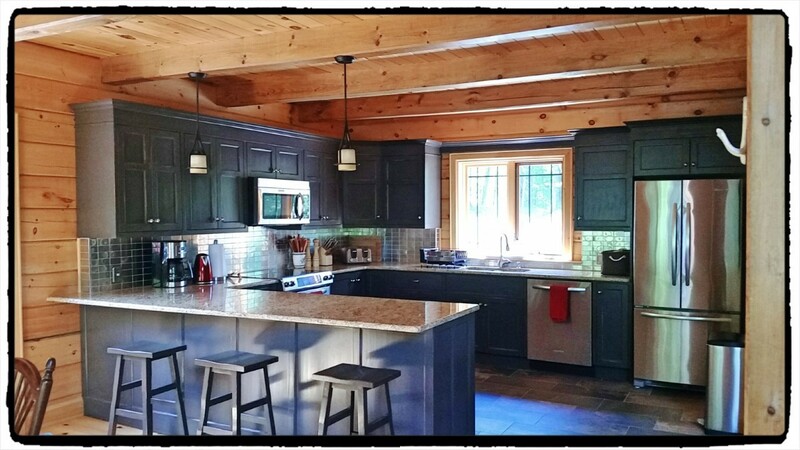 The cottage is amazing with all the little extra touches. There were 9 of us here and everyone had a great time. The huge table was great for dinners & playing games. Beds were really comfortable & nice pillows. We spent a lot of time at the huge dock and had lots of fun using the kayaks, peddle boards & canoe. Everything we could have asked for in a cottage was here & so much more. Thank you for sharing this wonderful cottage of yours with us - we would love to return again! 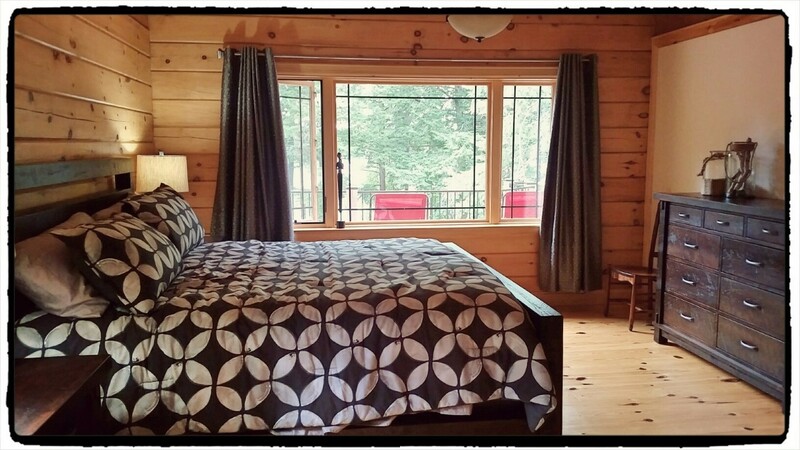 Hammond Haven is the ideal cottage getaway vacation. The cottage, the views, the amenities are all wonderful! We enjoyed kayaking, canoeing, paddle boarding, volleyball and endless hours of fun on the dock and in the water. The picturesque sunsets capped off each day perfectly! Great summer memories were made and we look forward to coming back!! We thoroughly enjoyed our one week stay at Hammond Haven. Dock was terrific for boating and water sports. We made good use of paddle boards etc. Really enjoyed the very large family dinner table for meals and games. Super comfy beds and pillows. We will look forward to our return next year. Wow! First Impressions: lovely accommodates plenty, water, yard, landscape, activities - incredible so far! Second last day here and all impressions remain intact!! It was a wonderful cottage with everything needed to satisfy a large number of personalities in a picturesque & perfect setting! Ditto all of the above. 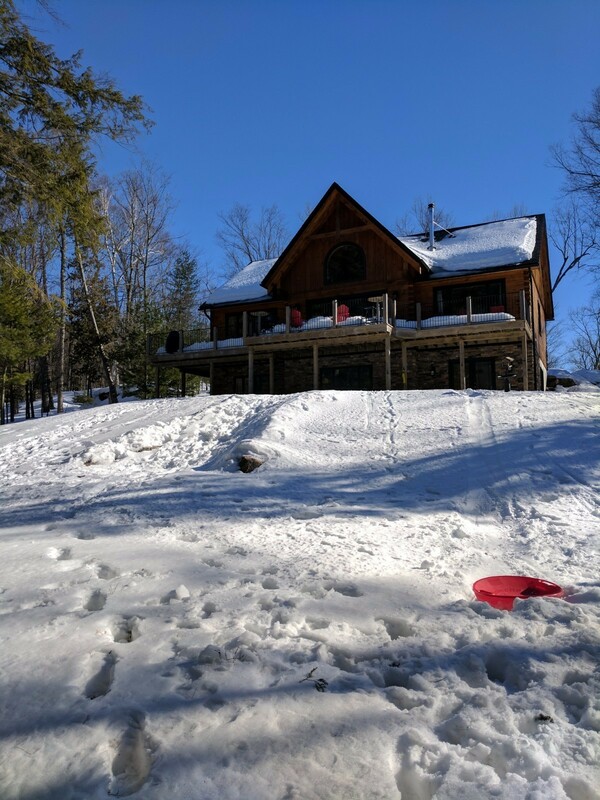 Amazing cottage with all of the amenities - blessed with incredible weather to enjoy all of the "toys" and of course the beautiful Jack's Lake. 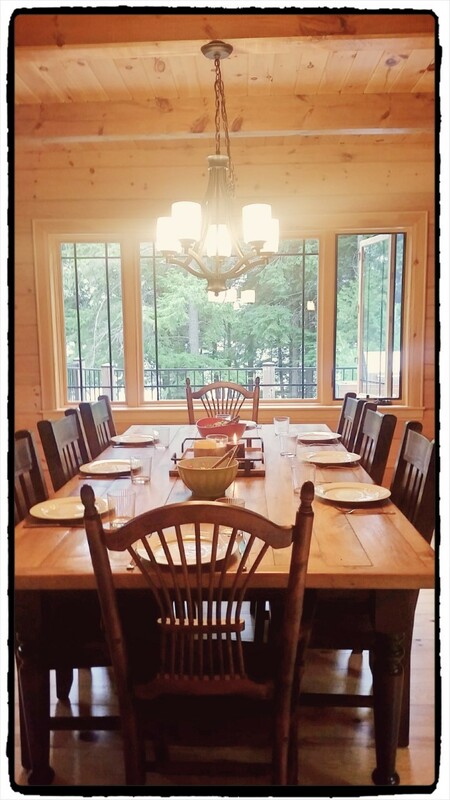 We enjoyed homemade dinners at the cottage as kitchen was excellently equipped. The warm environment included the most comfortable beds so we all had good sleeps. We hope to come again. Fantastic cottage!! Great water sports & good touch with the bar tables on the deck!! Fire pit was amazing!! We will be back!! We have had one of he most amazing times of our lives. Every day of the visit was family fun. This is the most butiful cottage we have ever sean. This is an experiance of our lives we will never forget. This is a cottage we will miss verry much but we will try to come back soon. We all felt this amazing feeling at the cottage that we won'g forget ever. Up and down the stairs it was still an adventure. 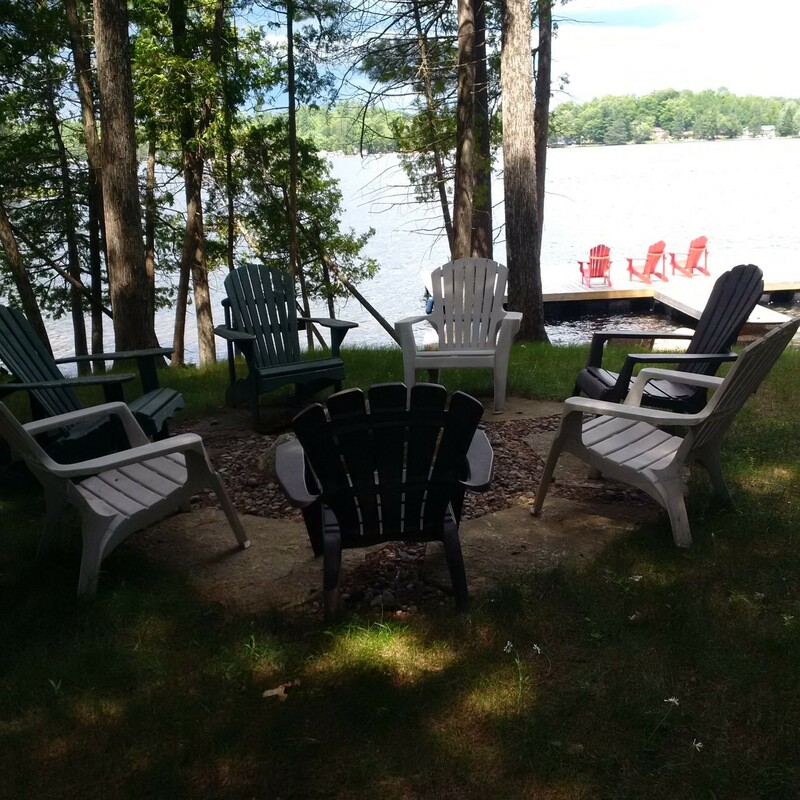 For many years our group of ladies have met together, starting out here on Jack's Lake and we are all delighted to find Hammond Haven, a welcoming retreat for all of us! A lovely spot for relaxation, refreshing and re-charging ourselves! Many spent hours on the dock, in the hammock or settled on the veranda chair. Swimming, sunning, walking, kayaking & canoeing and even a campfire. We all hope to be back! THANK YOU Hammond Haven for the wonderful memories...couldn't have asked for a better place to spend the weekend with our family! Wow what a beautiful cottage! 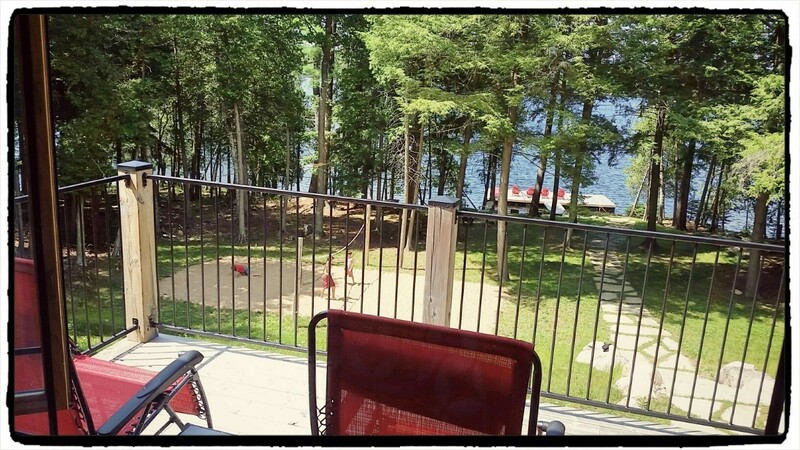 We had a great long weekend at an awesome cottage. Tons of room for activities. Weather could have been better but we were able to enjoy the canoe and paddle boards. When the weather was not so great the games downstairs helped pass the time! We all loved our stay and would love to come back next year! Thank you for letting us enjoy your beautiful cottage for our family vacation. It is beautiful! We had so many sun filled fun days playing volleyball, kayaking, fishing etc. and amazingly relaxing nights together around the fire. We even got to watch a pretty impressive thunderstorm. Thank you Hammond Haven for the wonderful time, especially Galaga and Pacman (arcade games). Hope to come back again. We spent the weekend with family and friends and couldn't have asked for a better place to stay! This cottage provided more than enough room for our group!! Thank you for a wonderful stay, would love to come back and rent in the summer! P.S. Games were incredible!! Not only with kids but adults!! So we stayed over on New Years Eve, loved the winter wonderland, and had no hesitation in coming back for Oscar weekend. The place is still amazing. We still love your fully (really!!) equipped kitchen, the games, the wonderful beds, and the size of the property. Our pets are also huge fans of the fireplace and the endless fun jumping up and down on the stairs. A group of friends came up to spend New Year's Eve here (first guests of 2017!). 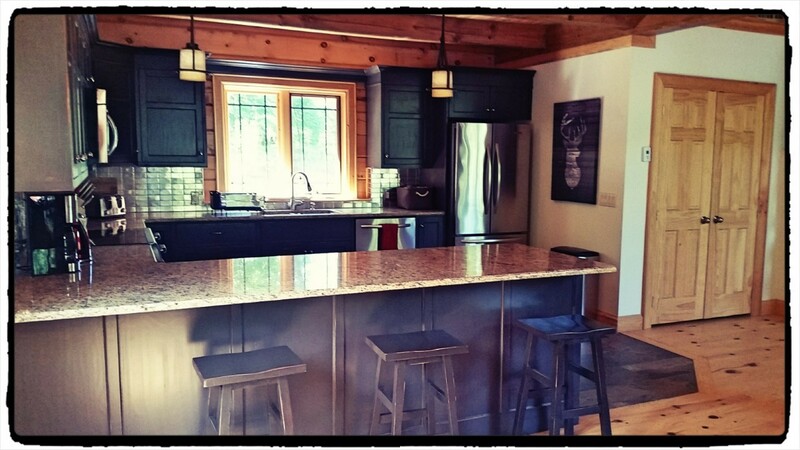 We loved the layout, design and fully stocked amenities of the cottage. We put the video games to good use and were impressed with the fully stocked kitchen. We made use of the property and local provincial parks to do some snowshoeing - a lovely winter getaway! We would love to come back in the summer to make use of the lake! Thanks for a memorable start to 2017! P.S. We would love a hot tub! Thanks a bunch. Had a lovely stay. This cottage is a wonderful little slice of the Canadian experience. We had an amazing time playing game after game of volleyball, table hockey and Pictionary. 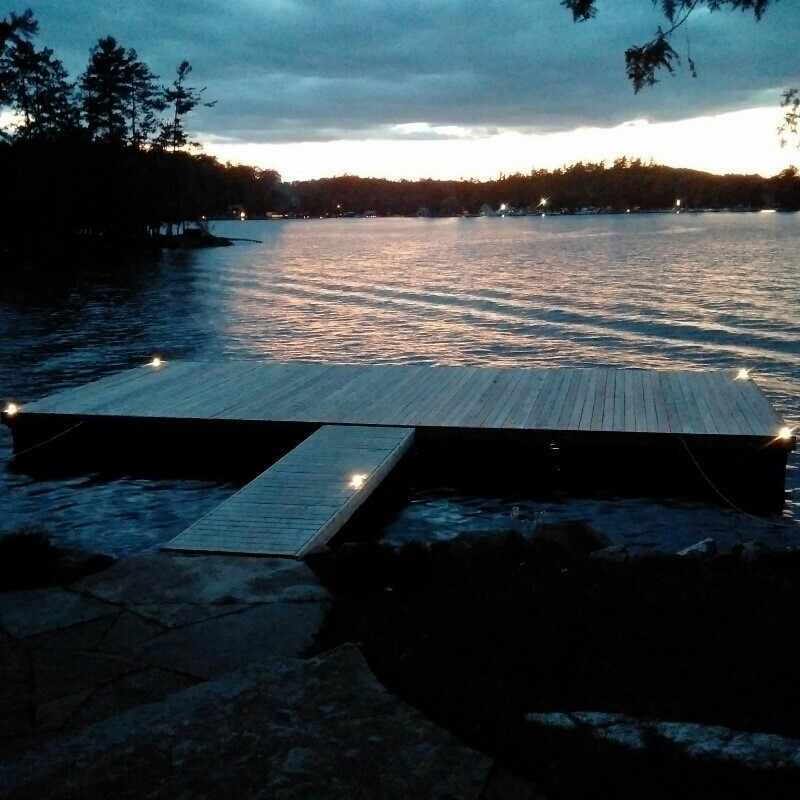 The lake and dock are perfect for sitting and relaxing. Not to mention the big table in the dining area. Perfect for the late night card games. It really was the perfect little getaway, and I don't think I could have asked for much more in a cottage. The lake is clear and when we were there we even caught fish off the 30' dock. Large and spacious rooms. Excellent place, very clean and who wouldn't love a bottle of wine being offered upon your arrival! This cottage was our "emergency" cottage as the cottage we originally booked cancelled on us one week before our planned vacation. However, once we pulled up and walked through these cottage doors, we knew we really lucked out. Not only was this cottage one of the last few available to us within a week's notice, but is was way superior to what we had originally booked. We were continuously amazed by small touches this cottage has that are not only functional but beautiful as well. We are so impressed by the thought and consideration put into making our stay carefree and enjoyable. 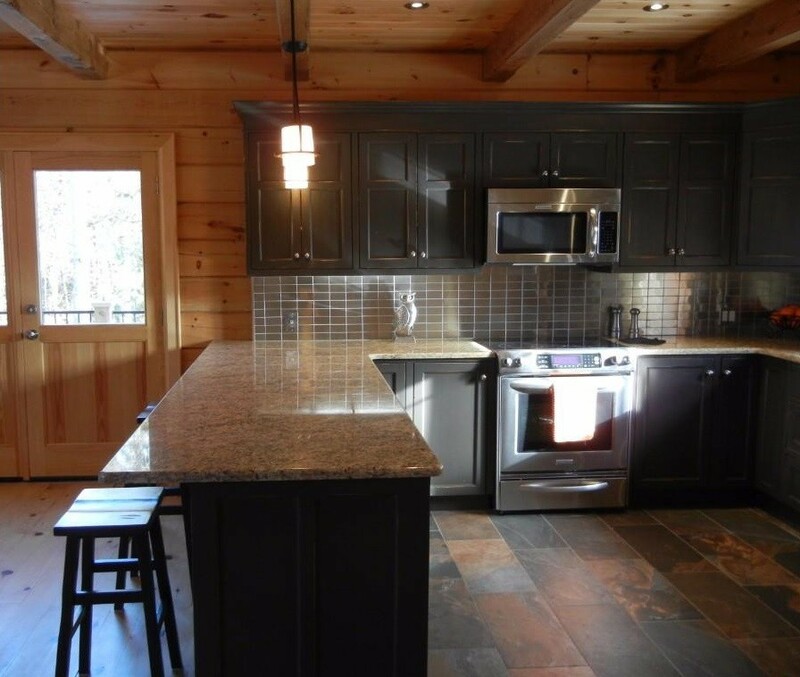 The kitchen is fully equipped with everything we could need and more. The room setup is perfect for our group, especially the room with the attached bunk-bed closet for the little ones. This cottage has something for everyone and we made use of it all. The setting of this cottage leaves us wanting nothing more, it is truly paradise. We took the short trip to Silent Lake Provincial Park for a hike and picnic and it was wonderful. We are definitely coming back and are secretly hoping not too many people find out about this place so we can keep it all to ourselves! This is the vacation we all needed - thanks for helping us to make it happen. P.S. Did I mention that our jaws dropped as soon as we walked through the doors because this place is SO AMAZING! This cottage was exactly what we needed to end off our summer! We were able to bond as a family and were always amused by the numerous activities provided! The cottage was incredibly beautiful and felt like home! We would 100% come back again and are so sad we have to leave. 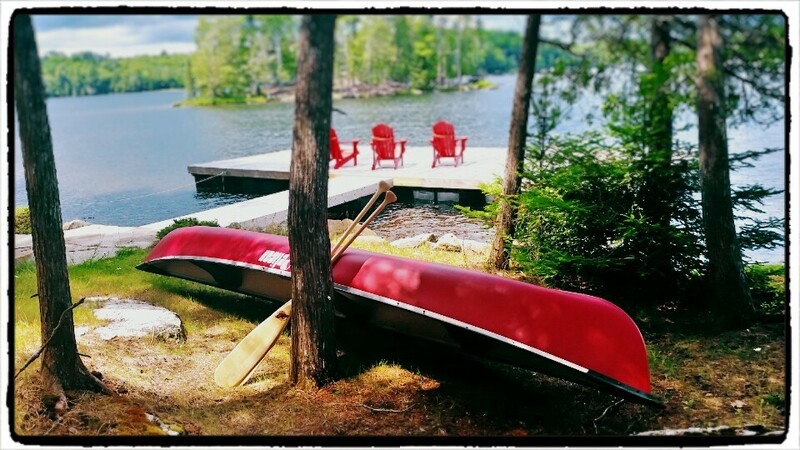 Thanks for allowing us to create amazing memories at your cottage! This was our first cottage rental together and boy did we luck out! The place is beautiful and every detail was thought of. We really felt at home and the kids loved all the video games and water activities. 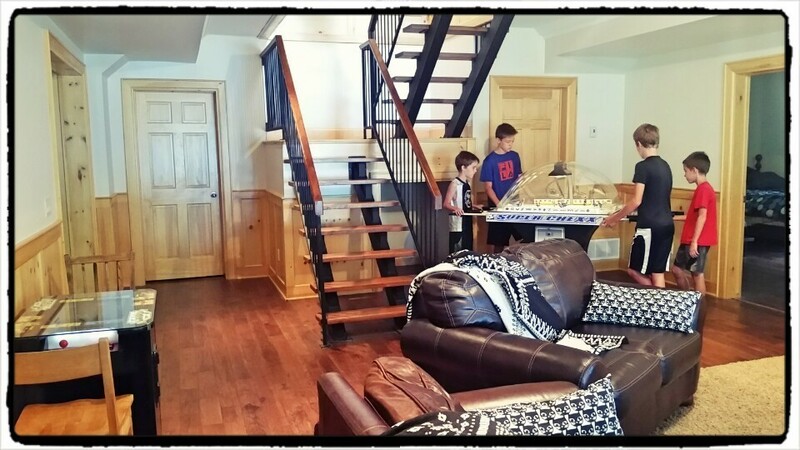 With 3 families including 5 kids the cottage is the perfect size for all of us to enjoy our own thing. Thanks for creating a wonderful get away. We plan on coming back! Beautiful memories from the Hammond Haven. Amazing place for family time, water sports, s'mores by the fire and board games. What a beautiful place to bring our staff and friends for a week away. Everyone thoroughly enjoyed themselves. The dock worked great for our boat and was large enough for both the boat and our jet ski. There were plenty of tie offs and it was a great place to sit and relax and enjoy the sun. Hopefully we will be back next year. We are honoured to be the first renters at Hammond Haven. 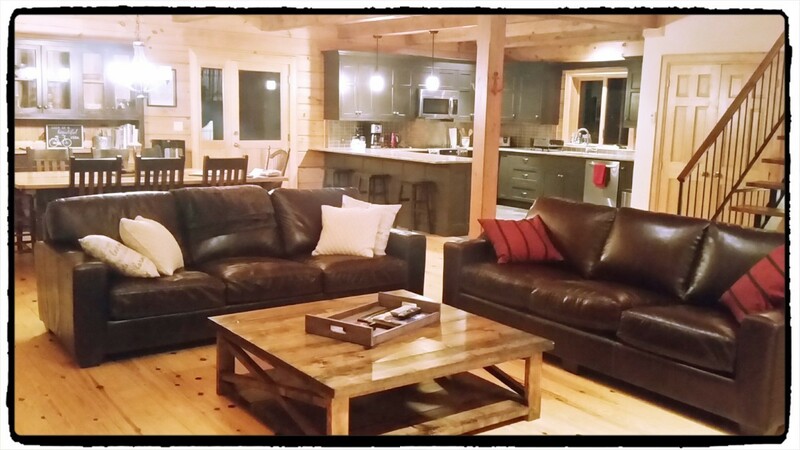 Much like the owners, we were in search of the perfect cottage vacation spot and this cottage definitely delivered! The cottage is beautiful with everything we would ever want. The lake is one of our favourites. We rented a boat from the marina and explored the lake every day. It is one of the most beautiful cottage lakes with so many bays and islands to explore. The fishing was also amazing. We caught too many fish to count. The most notable were 3 large mouth bass 18 inches long and approximately 5 lbs each! The weather was perfect ever day. We are already talking about booking for next year. We are taking so many great memories with us. There are 5 bedrooms in total. The main floor master bedroom features a king size bed. The lower level has an additional two bedrooms. 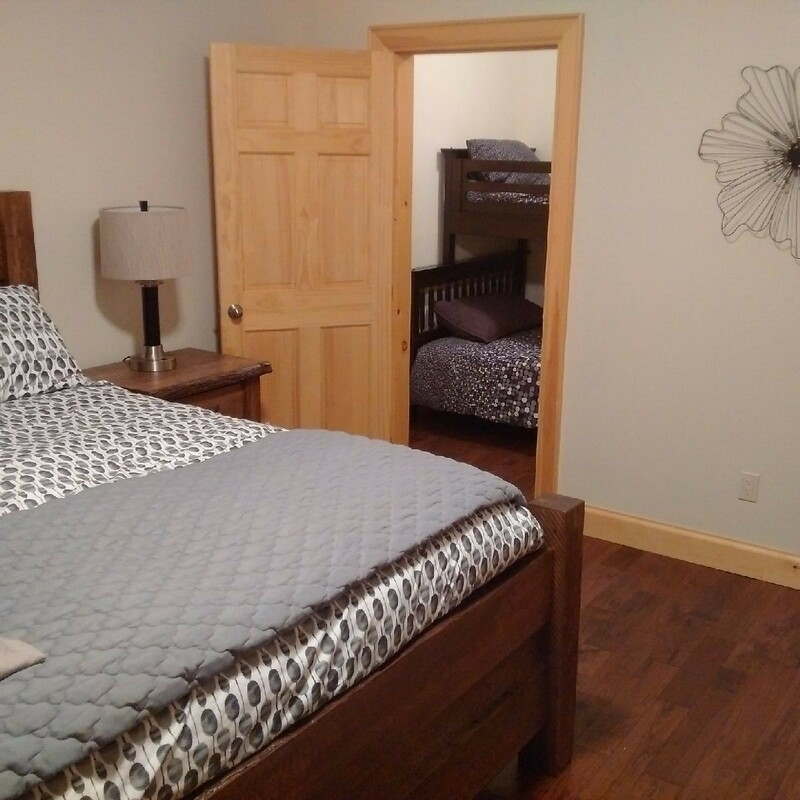 One is a family suite with another king and a single over double bunkbed. 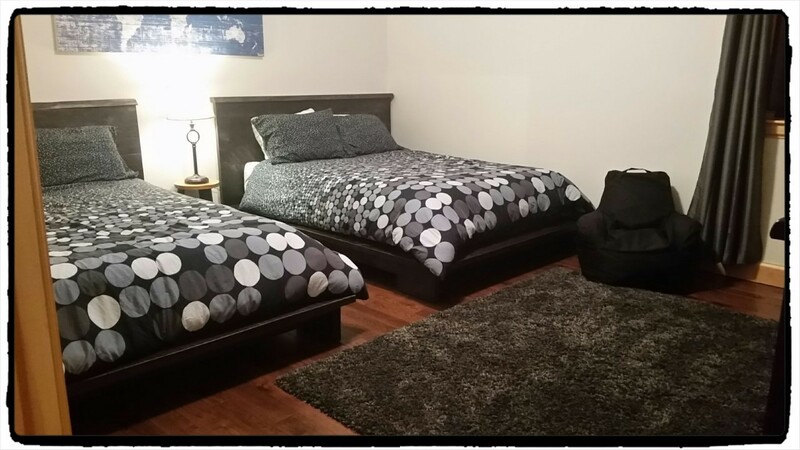 The second has two queen beds. The upper level have the fourth and fifth bedrooms both with king beds. All beds have new mattresses 2016. 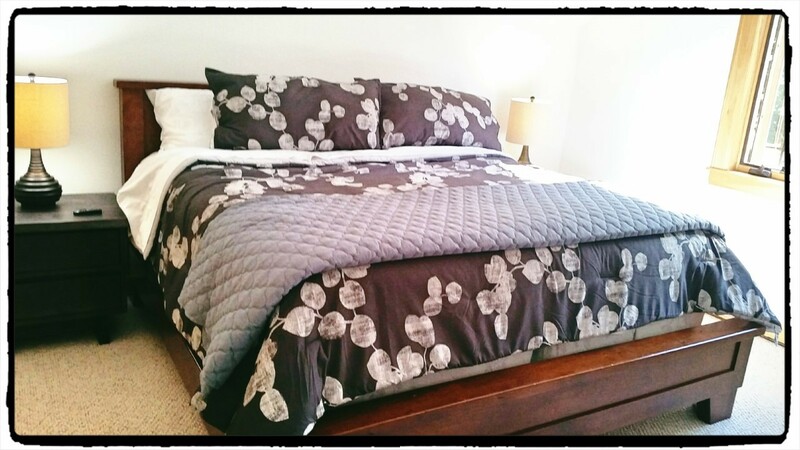 All linens, towels, and pillows are provided and are freshly laundered for your arrival! Fully equipped Kitchen, Dining Room, Great room, Family Room, 3 bathrooms, books, movies, TV and Internet, board Games and Books. All the comforts of home. Dock, Swim Raft, Deck, Beach Volleyball court, Large Deck across back of cottage with lake views. 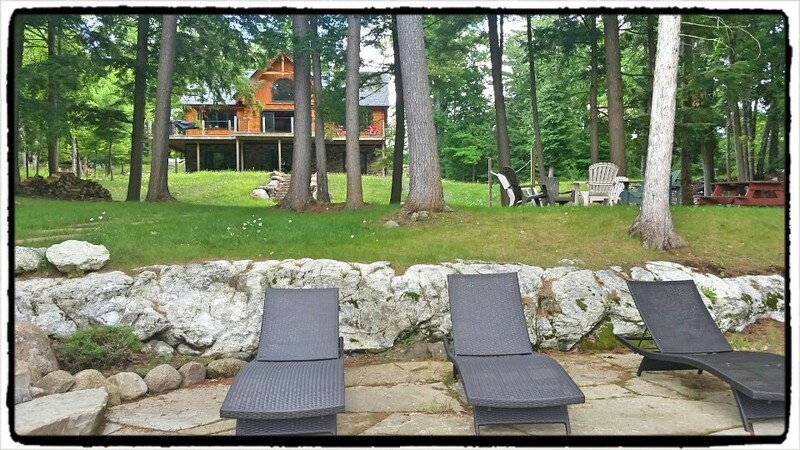 Fire Pit and Outdoor Furniture Exceptional private setting, Wooded area, Hardwood bush. Canoe, 2 Kayaks, 2 Junior Kayaks (140lb max), 2 stand up paddle boards, and a variety of life jackets. Hammond Haven is a tribute to my grandparents who my family affectionately referred to as " The Great Ones ". As a child we spent summers at their cottage creating memories that last a lifetime. Hammond Haven captures the spirit of family that Jack and Frances created for us. Jack was a World War 2 soldier and Frances served as a Royal Canadian Legion member and former President until her death in 2016. They died just 3 months apart from each other at ages 96 and 93. They were married just shy of 75 years. Our family hopes that Hammond Haven will be the place where you create your very own lasting memories in the spirit of The Great Ones.‎ Hammond Haven... making memories!